Join us for this annual webcast that provides updates on hot topics related to antibiotic stewardship and microbiological testing. 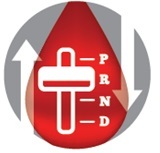 This activity will evaluate the clinical impact of acute major bleeding and examine safety and efficacy data surrounding the use of oral anticoagulant reversal agents. This activity will review the treatment options for patients with metastatic RCC. The pharmacological treatments available, appropriate use, adverse events, monitoring of agents, and management of adverse events will also be discussed. Future therapies and emerging agents will also be explored. 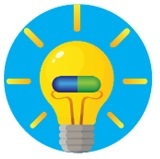 This educational activity will address the issue of adherence in the oncology patient. Topics to be addressed include the incidence of non-adherence, reasons for non-adherence, and consequences of non-adherence. Strategies to remove barriers to non-adherence and improve the adherence rate will be discussed. Adult Vaccines in 2018: Where Do We Start? Vaccines are an important aspect of public health, and this activity will seek to broaden the conversation about preventative health and how immunizations fit into pharmacy practice. Behavior Change Interventions. What works? This activity will discuss some of the behavioral approaches and physiological principles of behavior as it relates to antimicrobial stewardship. Interventions that have been shown to produce positive changes will be reviewed to help identify which of these will be most likely to work in your practice setting. This educational activity will address some of the risk factors for cross reactivity to penicillin and beta lactam agents. Selected cases will be reviewed and discussed. Penicillin skin testing and the usefulness of testing will be reviewed. A discussion of some legal cases involving allergy medical negligence and their outcomes will also be presented. The CSP Exam Preparatory Course will cover aspects of Clinical, Fulfillment, Intake and Outcomes that might be expected on the exam. Join expert faculty as key aspects of specialty pharmacy and the specialty pharmacist’s role are discussed. This activity provides an update for pharmacists on the antiemetic therapies available and techniques for managing the unique adverse events associated with oral chemotherapy. This activity will review the pathophysiology and etiology of the inflammatory process along with identifying some of the pharmacological approaches to treating chronic inflammatory disease. This educational activity will provide an overview of the epidemiology, risk factors, pathology, and staging of CRC. Common treatments used for CRC will be reviewed along with a discussion of adverse effects and recommended monitoring. Strategies to improve the compliance and adherence in CRC patients will also be discussed. This offering will provide an update of the current regulatory requirements regarding stewardship and describe initiatives and proposed rules on the horizon from government agencies and other organizations. This will include a discussion of stewardship in the acute care, ambulatory and long-term care settings. Module 1 will provide an overview of CF disease. The metabolism differences to consider in CF patients will also be addressed. Module 2 reviews the chronic medications used in CF patients. It will also discuss some of the future directions being explored with medications for CF. Module 3 addresses the management of infections in CF patients and the use of antibiotics in CF patients. It will review the pharmacokinetic and pharmacodynamic considerations to in these patients. Module 4 discusses the importance of adherence in CF patients and will address the role of education to improve the treatment of CF patients. This presentation will focus on the highlights and recent developments of combination therapy. This activity will explore some of the emerging infections and look at the threat levels in the United States. Some of the topics addressed include Ebola, Zika, Legionella, Influenza A, resistance, and other pathogens. Faculty will shed light on difficult concepts and common concerns related to the implementation of new sterile compounding regulations, while providing attendees with immediate feedback and reinforcement of key points. Module 1 reviews the physiology of reproduction and the effects of hormone regulation on reproduction. The risk factors for infertility as well as the diagnostic tests used in identifying infertility will be discussed. Module 2 will review the mechanism of action of the typical agents used to affect infertility. Medication adverse effects, administration, storage, and other information regarding these agents will also be discussed. Module 3 reviews the appropriate pharmacological and non-pharmacological protocols typically used to address infertility. Module 4 will conclude with addressing some of the special considerations in patients with infertility issues. The role of the specialty pharmacy and the pharmacy care plan along with issues of adherence will also be discussed. 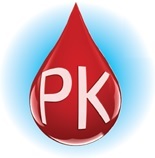 The goal of this educational activity is to enhance the pharmacist’s knowledge of the impact of acute major bleeding and patient assessment and management options. Hepatitis C virus (HCV) has become one of the most common infections worldwide. According to the CDC, up to 3.9 million people in the United States may be infected. This comprehensive four module program will provide a complete overview of HCV including disease state info, treatments, therapy selection, monitoring, and future considerations. Module One will address the epidemiology, diagnosis, and pathophysiology of HCV. Staging of HCV will also be reviewed. Hepatitis C virus (HCV) has become one of the most common infections worldwide. According to the CDC, up to 3.9 million people in the United States may be infected. This comprehensive four module program will provide a complete overview of HCV including disease state info, treatments, therapy selection, monitoring, and future considerations. Module Two will discuss the evolution of HCV treatments and the pharmacology of current agents. Possible drug interactions will also be reviewed. Hepatitis C virus (HCV) has become one of the most common infections worldwide. According to the CDC, up to 3.9 million people in the United States may be infected. This comprehensive four module program will provide a complete overview of HCV including disease state info, treatments, therapy selection, monitoring, and future considerations. Module Three will address patient specific factors, treatment options, and the monitoring of HCV treatments. Pharmacist interventions will also be discussed. Hepatitis C virus (HCV) has become one of the most common infections worldwide. According to the CDC, up to 3.9 million people in the United States may be infected. This comprehensive four module program will provide a complete overview of HCV including disease state info, treatments, therapy selection, monitoring, and future considerations. Module Four will include appropriateness of therapy for special populations, resistance issues, and emerging treatment options. The role of the specialty pharmacist will also be addressed. How Goes the War Against Antibiotic Resistance? This program will examine the extent of the antibiotic resistance problem and some of the drivers contributing to this issue. This activity addresses treatment goals, options for therapy, monitoring parameters and the pharmacist's role in IBD therapy management. This educational activity reviews inflammatory bowel disease (IBD) treatment guidelines along with how to develop a treatment plan for the IBD patient. The pharmacological considerations in selecting therapy for the IBD patient will be discussed with respect to selection, appropriate use, and monitoring for efficacy and adverse events. This presentation discusses gaps in the stewardship literature, simple strategies for being successful in stewardship scholarship and potential roles for you as a mentor or mentee. This activity will provide an overview of tools for planning and implementing new and existing antimicrobial stewardship programs. This includes elements of strategic planning, self-assessment, and determining both long term and daily priorities. The activity will also share tips for engaging team members and key stakeholders in the planning and implementation process. This is a featured CE activity on the Center for Specialty Pharmacy Education (CSPE) website. CSPE is the educational hub of the National Association of Specialty Pharmacy (NASP). 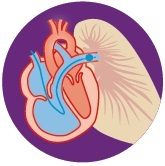 This activity will provide learners with foundational knowledge of PAH, including the role of several unique pathways. This educational activity will provide an overview of the diagnosis, epidemiology, risk factors, pathology, and staging of melanoma. This activity will include an in-depth review of treatments for melanoma. Adverse events, appropriate patient monitoring, and adherence will also be discussed. Multiple sclerosis (MS) affects an estimated 400,000 people in the U.S., with approximately 10,000 new cases reported every year. As a chronic and progressive neurologic disease that requires lifelong, dynamic treatment via costly, high-touch medications that also require special handling and storage, multiple sclerosis therapies are often delivered via specialty pharmacy programs. This activity provides an introduction to MS pathology, epidemiology, and symptom management to specialty pharmacists and nurses. Multiple sclerosis (MS) affects an estimated 400,000 people in the U.S., with approximately 10,000 new cases reported every year. As a chronic and progressive neurologic disease that requires lifelong, dynamic treatment via costly, high-touch medications that also require special handling and storage, multiple sclerosis therapies are often delivered via specialty pharmacy programs. This activity provides an in-depth discussion of the various therapies used in the treatment of MS. Multiple sclerosis (MS) affects an estimated 400,000 people in the U.S., with approximately 10,000 new cases reported every year. As a chronic and progressive neurologic disease that requires lifelong, dynamic treatment via costly, high-touch medications that also require special handling and storage, multiple sclerosis therapies are often delivered via specialty pharmacy programs. This activity discusses the transitions of care, patient adherence strategies and financial considerations in the management of MS. Multiple sclerosis (MS) affects an estimated 400,000 people in the U.S., with approximately 10,000 new cases reported every year. As a chronic and progressive neurologic disease that requires lifelong, dynamic treatment via costly, high-touch medications that also require special handling and storage, multiple sclerosis therapies are often delivered via specialty pharmacy programs. This capstone activity of the MS curriculum uses case studies to allow participants to apply what was learned in modules MS-101 through MS-103. Nutrition therapy is an important part of managing oncology patient’s adverse effects and hopefully by managing these issues it will increase the patient’s quality of life. This ACPE-accredited CE activity is designed to provide continuing education to pharmacists who may dispense naloxone via a standing order or similar protocols allowed by their respective states. This ACPE-accredited CE activity is designed to fulfill a state requirement for all Illinois pharmacists who will dispense naloxone via a standing order. This CE activity will present strategies to support treatment adherence, navigate cost issues, manage special populations, and ensure optimal patient outcomes. Participants will gain knowledge of current antibiotic resistance trends and infections. Antimicrobial agents will be discussed, with a focus on current limitations and new therapeutic agents on the horizon. This session will cover the mechanism of action of the PARP inhibitors and the efficacy and safety parameters of the ovarian cancer treatment options available. The Pharmacy Transplant Series is designed to help pharmacists better understand the very complicated post-transplant immunosuppressive regimens, the basics of immunosuppression and the issues related to infections during the post-transplant period. This session will cover the mechanism of action of each of the prostate cancer therapeutics available and the efficacy and safety parameters. This educational activity will review the incidence, pathophysiology, diagnosis, signs and symptoms of these diseases. Treatment guidelines available, along with non-pharmacological and pharmacological treatments, will also be discussed. This activity will provide pharmacists and nurses with an improved knowledge of PAH, including a review of pathophysiology, disease subcategories, diagnosis, treatment guidelines, approved therapies, disease progression, and disease monitoring recommendations. This webinar will describe the latest changes in procedural and practice expectations and will educate participants about Institute for Safe Medication Practices (ISMP) guidelines for adult IV push medications, which were developed as a result of a national summit. Restricting Quinolones/Cephalosporins: Cause for Alarm or Squeezing the Balloon? Through a pro-con debate format, this program will review some of the issues associated with restrictions on the use of Quinolones and Cephalosporins, and whether restrictions work. This activity will review the pathophysiology, clinical presentation, and diagnosis of RA. The current ACR guidelines for treatment will be reviewed along with the current therapies. Methods used to measure and monitor the effectiveness of treatment, along with patient education, will also be discussed. This activity will discuss the appropriate use of antimicrobials for bacteriuria in the acute care setting. Differentiating when to treat and the consequences of inappropriate treatment will also be discussed. How antimicrobial stewardship programs and interventions play a role in this topic will also be addressed. This program will explore the pipelines in late stage development for new antibiotics and anti-fungal as well as rapid diagnostic platforms. The Antimicrobial Stewardship Program is an innovative and intensive practice-based activity that focuses on the pharmacist's role in the appropriate use of antimicrobial agents. This program will look at some of the infection control and antimicrobial stewardship practices to address the issue of Clostridium difficile Infection. This activity will explore the importance of pharmacy standardization and the role pharmacy leadership needs to take to minimize error potential in sterile compounding. This activity will discuss best practices and compare different treatments for Staphylococcus aureus bacteremia. Discussion regarding the role of appropriate vancomycin concentrations in treatment of bacteremia will also be addressed. The impact of consultations and standards of care will be reviewed. Strategies To Decrease Vancomycin-associated Nephrotoxicity - What Is Their Worth? This activity will be divided into two different strategies to decrease Vancomycin-associated nephrotoxicity. The first will examine the risk of concurrent piperacillin/tazobactam and vancomycin in terms of nephrotoxicity. The second strategy will focus on dosing Vancomycin using troughs versus AUC(area under the curve) and will examine benefits and downsides of each as well as the available Bayesian software. 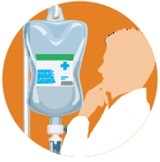 This activity will provide pharmacists with an understanding of parameters to consider with IV compounding and their role in IV medication safety. This presentation will discuss the epidemiology and burden of severe asthma, the use of phenotypes and biomarkers, mechanisms of action evidence for new/emerging agents, and the pharmacist’s expanding role in asthma disease management and outcomes. This activity will review the commercially available rapid diagnostic testing available to be used in treating patients with S. aureus. The technologies associated with the available rapid testing will also be reviewed and discussed. Improving ways that rapid diagnostics can help in the management of patients with S. aureus and ways to incorporate this into the antimicrobial stewardship programs to improve outcomes will also be explored. 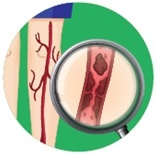 This activity will provide pharmacists with an improved foundational knowledge of VTE, risk stratification outlines, and oral anticoagulant options for use. This program will look at the history of Healthcare associated pneumonia (HCAP) as well as the specific implications on use of broad spectrum antibiotics.